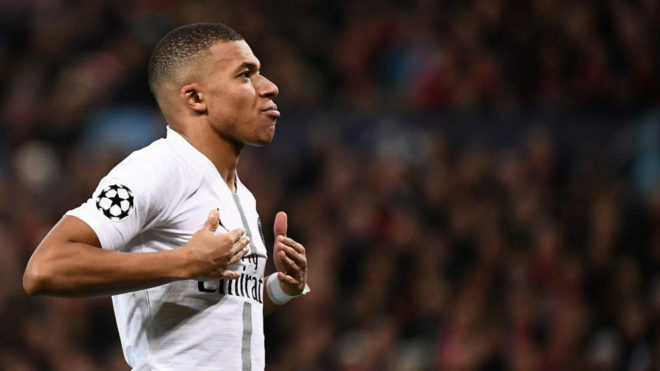 Kylian Mbappe believes Paris Saint-Germain must stop being afraid in their quest to succeed in the Champions League. The forward delivered another impressive performance at Old Trafford as the Ligue 1 side beat Manchester United in their round of 16 first leg. “I feel like asking that we stop selling fear, we have to stop being afraid,” Mbappe told RMC Sport after the game. “Football is played on the pitch and it’s clear that Neymar is very important, that Edinson Cavani is fundamental but football is played on the pitch and today we have shown that. Mbappe acknowledged that he missed a chance to kill off the tie, but remained satisfied with the win. “We are halfway through,” he said “so we will continue to prepare for the game in three weeks and to be ready. “We had many midfielders and we are used to playing with more forwards so we had to adapt.